New Book! I'm in it!!! This is a TERRIFIC new book by Karen Haber!! 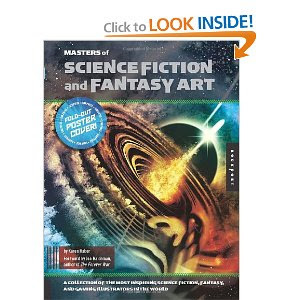 Features the "Masters of Science Fiction and Fantasy Art". Great large size and layout. Not only functions as an art book, but gives some background into all the art shown and at least one step-by-step demo. And the names are an impressive list: Dan Dos Santos, John Picacio,Todd Lockwood, Don Maitz, Donato Giancola, Terese Neilson, and many more....and ME! I was really impressed by the thickness and over-size of this book. Definately get it, if you have any interest in SF art, as Amazon has a good price. I have a link in the actual title above for convienience. The Famous Monsters of My Monster World! 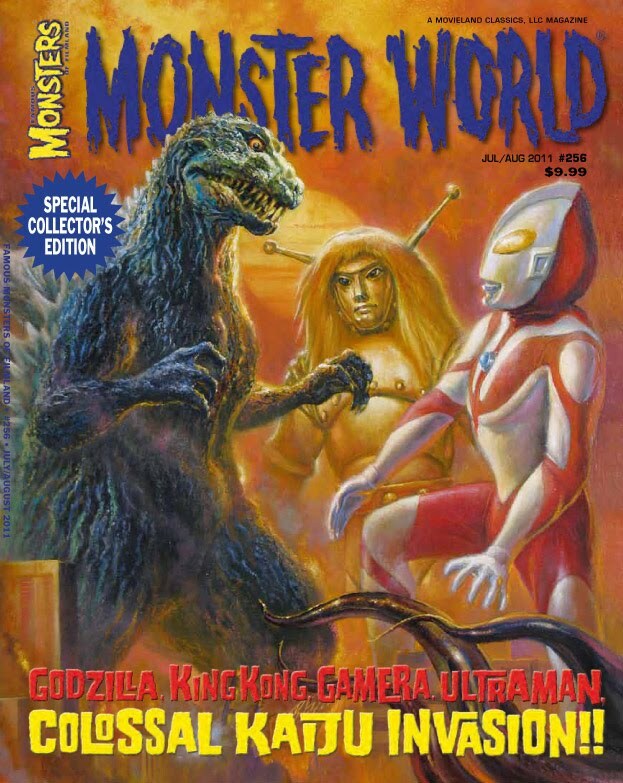 Famous Monsters #256 "Monster World" special Kaiju issue. It's been awhile since a post. Been a VERY busy April, but again another milestone with my career. In 1966 my Dad bought me an issue of MONSTER WORLD with The Addams Family on the cover. It was my first "monster book". After that came Famous Monsters that I collected avidly, and their Issue #114 which was "All of Japan's Monsters". Here we are years later and I was able to do the cover art to the upcoming Subscriber and Diamond Comics variant issue. On this, we decided Godzilla, Ultraman and Goldar(from Space Giants) represented the most recognizable monsters and giant superheroes from Japan. This is an amazing thing to see this actual issue with my cover art. If you click on the header it will take you to the site you can order an issue sent right to you!